We decided to do a raised bed due to lots of roots in our yard. Check your local recycling center or waste department of your city for free compost to fill the bed. 1. Cut two of the 2x6’s in half to give you four 4 ft. sections and four 8 ft. sections. You’ll put two on top of each other to form each side (You could user wider stock and less boards, but the 2x6 are much easier to handle and rip with a table saw). 2. Cut the 2x2 into four 1 ft. sections and one 4 ft. section. 3. Assemble the box using the 1 ft. 2x2 boards to brace each corner. 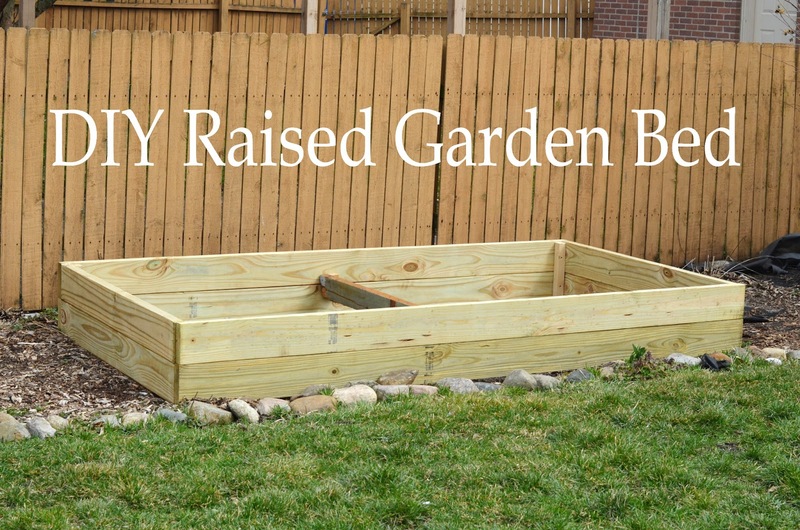 Use the 4 ft. 2x2 and some scrap wood to brace the middle of the long side to prevent bowing when the box is filled with soil. 4. Wrap chicken wire loosely around the base to keep out seed-munching varmints. I added some scrap rebar driven into the ground near the front corners to reinforce the wire. It can unwrap to give you access to the garden when needed. This was very helpful! Hopefully I can convince my husband to help me make this. Do you have a pic of it filled with plants/vegetables? Thanks for sharing. I love you blog. It wasn't too hard to make, and it has really cut down on my need to weed! I can look to see if I have any pictures from this summer before I took out my tomato and zucchini plants for the season and my marigolds (to keep away aphids). Right now the only veggies left in it are my bush green beans. I used www.smartgardener.com to plan both beds this year.